In the following example we use Track map and XY graph to illustrate how to step through data, 1 second at a time. 1. Open the XY graph and click on the Form Data button. 2. 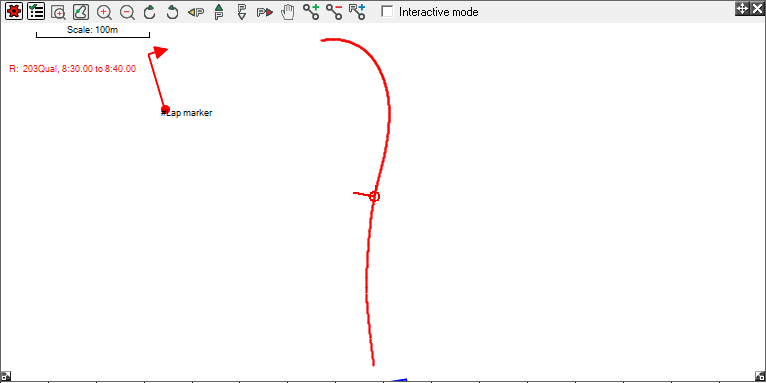 Select Speed for the Y axis and time for the X-axis. 3. Select the Manual data limits option in the X axis configuration section and enter the maximum and minimum values. then close the Data options window. 4. Open the Form Options by clicking on the Form Options tab. 5. Select Display Grid option and close the window. 6. Click on the Form Data button on the Track Map window. 7. Uncheck the set by laps/sectors option. 8. Enter the minimum and maximum values. these minimum and maximum values should be equal to the values you entered in the step 3. Then close the Options window. 9. 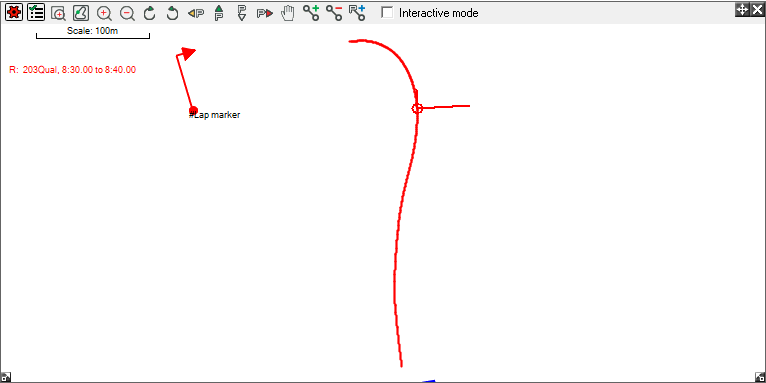 Select a point on XY Graph or track map using the mouse. 10. Press CTRL + LEFT ARROW (or CTRL + RIGHT ARROW) keys to step thorugh the selected range.